So, here’s the scenario. You’re doing your grocery shopping at Walmart, Target, or some other household name “big box” grocery store. You need some honey, so you just grab whatever is cheapest off the shelf. We’ve all done that with honey and other similar “staple” food products such as bread or milk. But have you ever stopped to consider whether the low, low price you’re paying for that honey is indicative of its true quality? If not, that’s okay. You’re not alone. Most people don’t have time to check the labels or search out information about quality. That’s why we’ve prepared this helpful post for you. 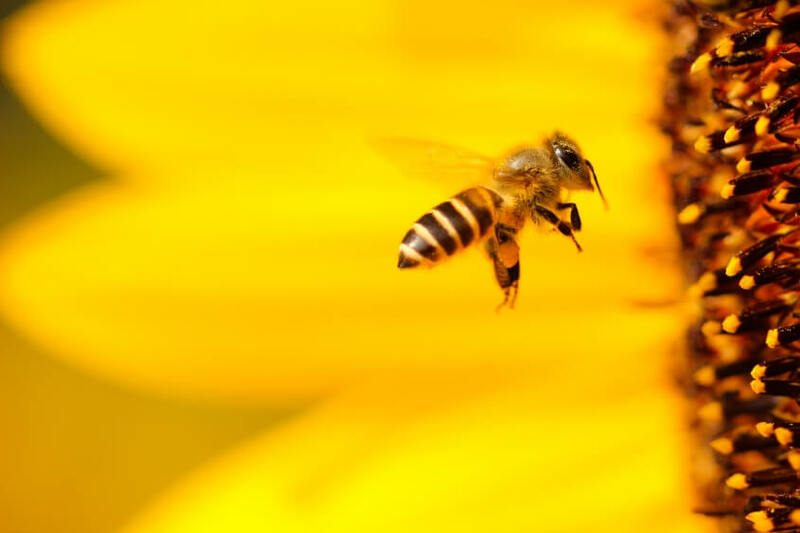 When bees flit from flower to flower, the little hairs on their bodies and legs pick up pollen. The pollen gets distributed from flower to flower increasing and improving pollination. But it also goes back to the hive with the bees. Pollen contains nutrients that benefit both bees and humans. So if the pollen is removed through filtering, a major component of the honey is lost. Large-scale honey manufacturers (let’s just call a spade a spade here) like to tout their honey “mixes” as a feature rather than to downplay it as a liability. They like to say that they are producing a custom flavor or a variety experience. But all they’re really doing is artificially combining potentially conflicting chemical and organic properties in ways that aren’t always beneficial. With the bad rap that high fructose corn syrup has today, this one kind of goes without saying. There is simply no good reason to dump a bunch of artificially processed sugary syrup from a corn plant, with all its harmful effects on our health, into perfectly good honey. We want less HFCS in our diets, not more. The nutrients in honey are fragile and are lost with each step of non-natural processing done to a honey batch. Cooking is no exception to this rule. There really is not a good reason to apply heat to honey unless you’re is using it merely as a sweetener in tea, coffee, or baked goods. But if you’re trying to get any nutritional benefit from the honey, it’s best to leave it as close to room temperature as possible. Chinese honey is a real problem for beekeepers around the world. Not only does it meet all the “not real honey” criteria mentioned above, it is part of an international “race to the bottom” when it comes to honey quality. Chinese honey is also a huge player in (we’re not kidding) honey crime. If you don’t believe me, go and watch season 1, episode 1 of the documentary “Rotten: Lawyers, Guns, and Honey”. It’s excellent and as of this writing it’s still available on Netflix. The documentary details an extensive underworld in the honey trade that dilutes the best things about honey to nothingness, hurts the environment, is rife with fraud, and has nearly put beekeepers out of business. If you need only one reason to buy natural honey, let this be that reason. Ok, please excuse our indulgence into a little self promotion here, but we can only speak for ourselves in this matter. We define real beekeeping and the real honey outcome as being direct from the honeycomb to our non-toxic bottle to your table. Anything that gets between these hive-to-table endpoints is just not ethical, in our opinionated way of looking at our industry. If you want to see what we do to our honey, just have a look at this short overview video. What you see here is exactly what you get. From the hive directly to your table. Every time. As noted in #1 above, the pollen is a feature of quality honey. It’s good for the bees and it’s good for us. Without it, the honey just becomes merely liquid sugar without much nutritional benefit. I’m happier, and physically feel better, when my honey contains essential nutrients, vitamins, proteins, and amino acids that come from pollen. Otherwise, there’s no real benefit or value to what I’m eating. The nutritional benefit of raw honey alone is worth paying more. There’s nothing “wrong” with honey that pre-cooking it will “fix”. Real beekeepers just don’t cook it. With the exception of children under the age of 1 who have immature digestive systems, honey can’t hurt you in terms of bacteria or viruses because honey is naturally sterile. It’s even used as a natural, sterile wound dressing, and has been for thousands of years! And, in archaeological discoveries in Egypt, honey was found, still edible, in jars that had been there for up to 4,000 years! Note how I’m not saying that honey cannot be mixed. I’m just saying it has to be mixed naturally or it’s not raw honey. We artisan beekeepers rely only on the bees to mix nectar from different flowering plants that, in turn, create the unique and delicious flavor profiles of raw honey. My favorite honey of all time is one that the bees make in the springtime when the blackberry blossoms and orange blossoms are available to bees at the same time. The bees visit the flowers of both blackberry plants and orange trees throughout the day and their respective nectars are mixed naturally in the bee’s “honey gut”. When the nectar is deposited in the honeycomb of the hive, they solidify naturally together as the water in the nectar evaporates. Pollen from blackberry plants and orange trees also makes its way into the honey, further flavoring it so that it tastes exactly like what you would expect. It’s as if you’re drinking ambrosia made of the juices of oranges and blackberries. Orange Blossom Blackberry honey is just incredibly delicious. Our bees similarly combine orange blossom and ruby red grapefruit blossom nectar and pollen to make our uniquely Floridian Orange Blossom Ruby Red honey. Naturally mixed honey is far superior in taste and quality than that bland-tasting, featureless, unflavorful “clover honey” that is most common in stores. Again, let’s just keep that nasty HCFS garbage out of our honey supply. It’s already unavoidable in so many other manufactured foods. Therefore, it’s completely unnecessary to add it to honey because honey is already sugar! Adding corn syrup only serves to dilute the honey so that prices can be dropped due to low quality, further putting real beekeepers out of business and reducing their ability to increase bee populations. Without sizable bee populations, our entire food chain is in danger of collapsing. Just say no to HCFS in your honey and only buy raw honey. We invite you to check out all the honey varieties in our online shop or come taste some in person at our farmers market booth in Winter Garden, Florida.